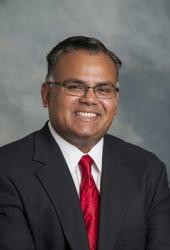 Vice President and Chief Financial Officer Dinesh Ganesan is a vice president and the chief financial officer for Johns Hopkins Medicine International. He provides leadership in financial planning, budgets and projections; management of assets and operating cash flows; and the financial operations of new and existing affiliates, projects and business development opportunities. Click here to learn more about Dinesh.